The first snow is magical. We were only forecasted for rain and ice primarily…so when the soft, white flakes started to slowly drift lazily from sky to earth I felt my spirits soar. The snow steadily filled my yard. Covering up mounds of mulch needing to be spread, the dry, dormant rose bushes, and gravel pathway. All was quiet. I lit a few candles and settled into winter. Overnight, the skies, now empty, cleared to dark blue broken by long silvery gray-white clouds that moved with haste from west to east. Morning is now. I greet this day, my day, my 51st anniversary with Mother Earth, with wonder. Let the light in. Say a prayer of gratitude. Hike on. Posted in Off the AT...Exploring other trails! 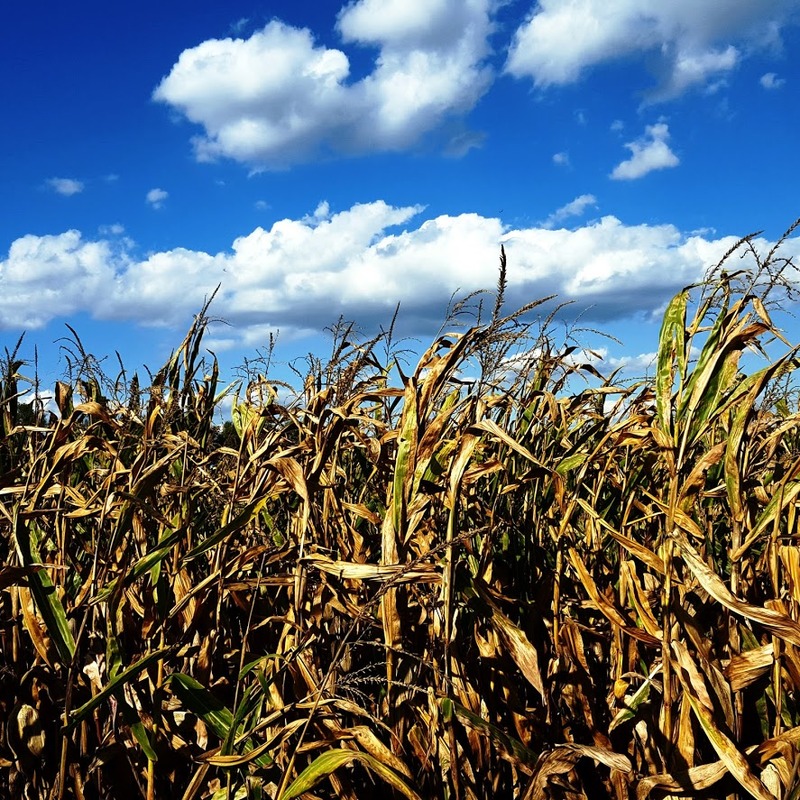 I looked at the date of my last post…a sharp intake of breath…a month ago!!! It has been an unforgettable fall season. 🙂 Lots of hiking, lots of working, lots of going to school…not a lot of time for writing unless it is for one of those reasons! 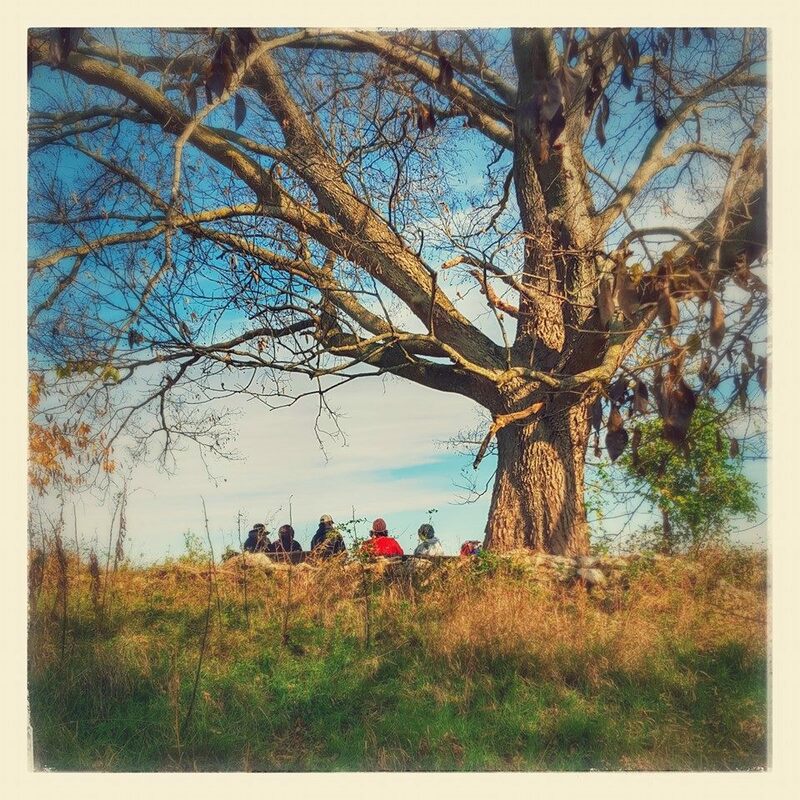 October 31: Led the Trail Dames on a walk among the lost souls at Antietam Battlefield. Perfectly beautiful day to enjoy and be thankful for all we have been given. 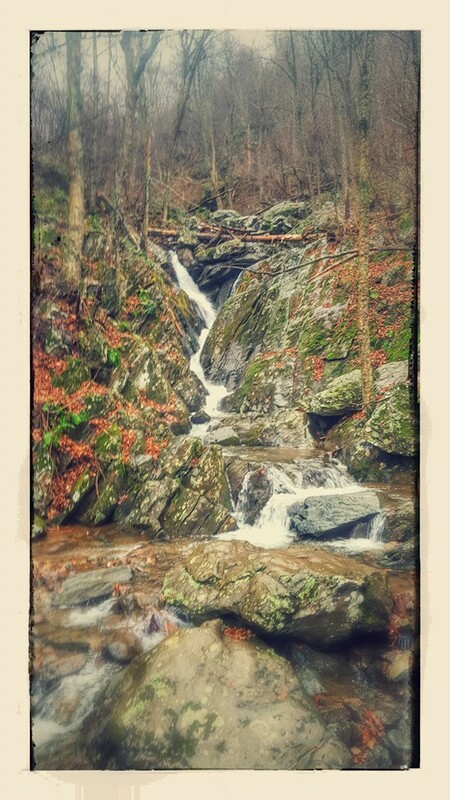 November 7: Rose River Falls Loop in Shenandoah National Park with the Trail Dames IN THE RAIN. Sidekick Pauli didn’t mind the rain and neither did I. I wasn’t leading this hike so I walked along carefree as can be! And we finished by celebrating a fellow dame’s birthday with blackberry cobbler and ice cream! Yes!! 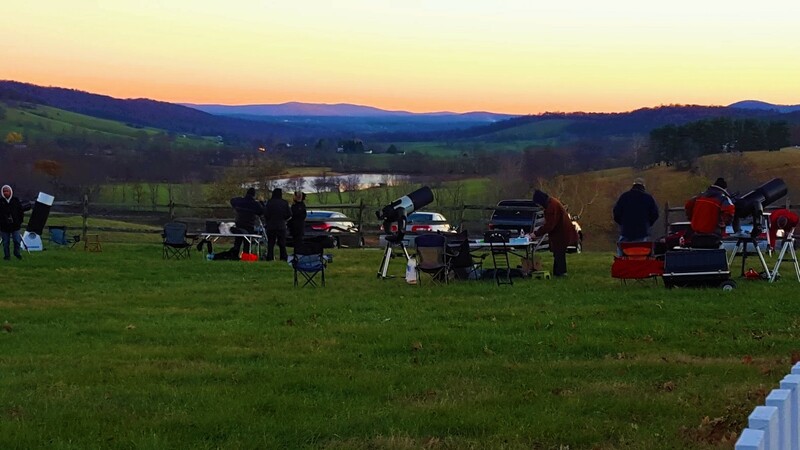 Star Party at Sky Meadows State Park, VA. Just look at those set ups! Thomas Farm…my go to after work! I have enjoyed being outside this last month and am soooooooo looking forward to my Thanksgiving break! 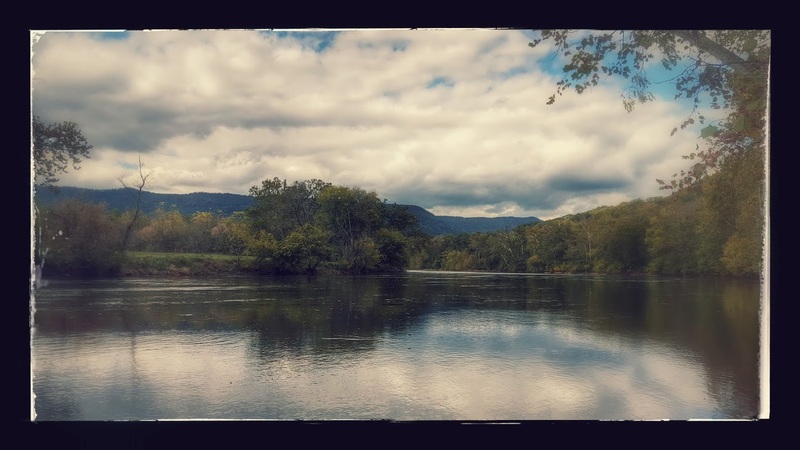 #OptOutside on Black Friday! Hike On! 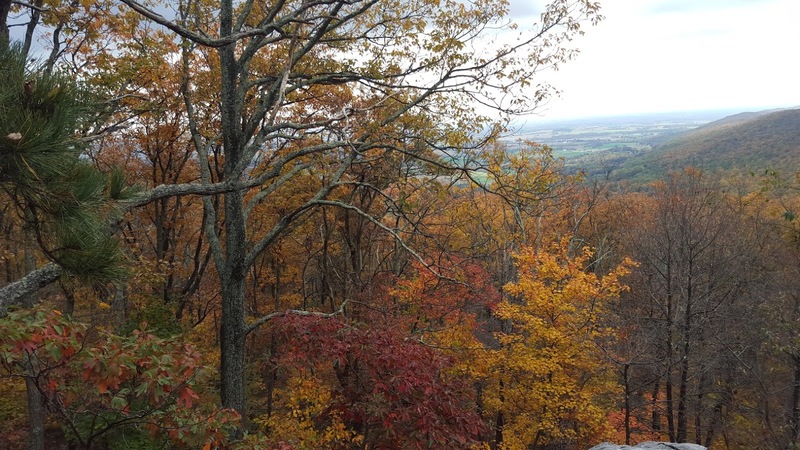 Posted in AT-Maryland, Battlefield Hikes, Off the AT...Exploring other trails! I Think It May Be Spring! New Year, New Goals, Day 1 x 10^5 of Sciatica! Got 30 Minutes To Spare? Beavers Been Busy at Seneca Creek State Park!